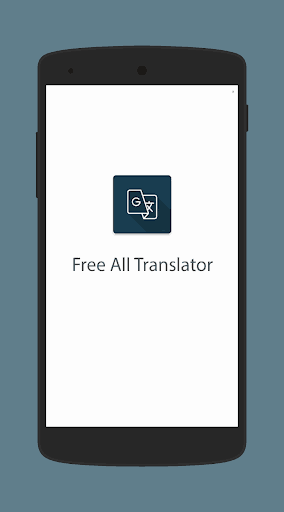 all translator is combine three translator like camera translator, voice translator, all language translator in the all languages available.Use this cool talking translator to instantly translate any text into any of 150 languages! It also pronounces the translation for you. All Language Translator is the free app to translate words or text. This application should be helpful for tourist, to traveling any region or country of the world, and also it provides text to speech translating facility. Fastest All Translator is very easy to use, Voice translator open enter data in box click translate button You will see answer. You will see translate sentences. same as camera translator in photo scan via camera or gallery then crop translate click result display. ✔ All languages supported in camera, voice, text translator(All Language Translator). ✔ Clean UI & matrial design app. ✔ Easy to use every person. ✔ Camera translator for photo to text scanning words and sentences. ✔ Camera translator for scanning via Gallery. ✔ Voice translator for speak and written for translate any words and sentences. ✔ Voice translate data are delete and offline user save before. ✔ Translate your voice using (Voice translator). ✔ Copy and paste source and translate text. Afrikaans, Albanian, Arabic, Azerbaijani, Basque, Bengali, Belorussian, Bulgarian, Catalan, Chinese, Croatian, Czech, Danish, Dutch, English(US), Esperanto, Estonian, Filipino, Finnish, French, Gallic, Georgian, German, Greek, Gujarati, Haitian, Creole, Hebrew, Hindi, Hungarian, Icelandic, Indonesian, Irish, Italian, Japanese, Kannada, Korean, Latin, Latvian, Lithuanian, Macedonian, Malay, Maltese, Norwegian, Persian, Polish, Portuguese, Romanian, Russian, Serbian, Slovak, Slovenian, Spanish, Swahili, Swedish, Tamil, Telugu, Thai, Turkish, Ukrainian, Urdu, Vietnamese, Welsh, Yiddish. Thank you for view and read our app.